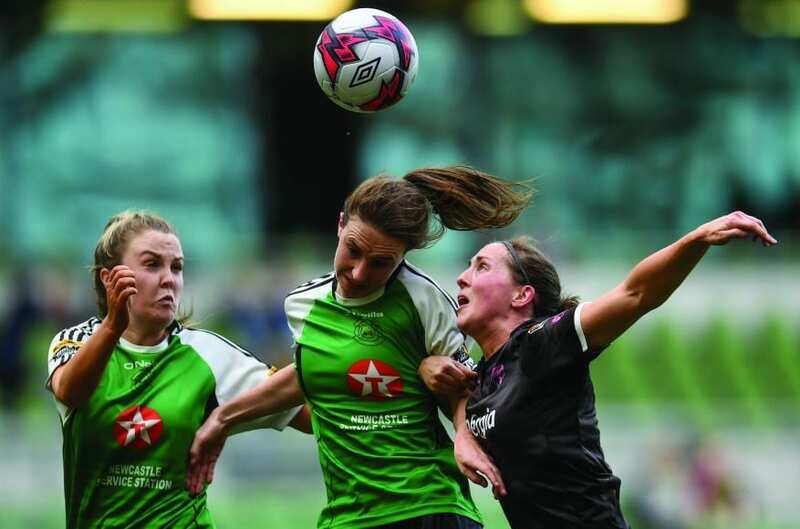 Peamount United’s first-ever appearance at the Aviva Stadium ended in disappointment as they were edged out 1-0 by treble-winners Wexford Youths on Sunday afternoon. The Peas came from behind to beat Wexford 2-1 in the WNL Cup final at Ferrycarrig Park in September but they couldn’t repeat the trick on the biggest stage of all in Dublin 4. Katrina Parrock’s goal 11 minutes from half-time proved the difference, but Peamount will be aggrieved that Amber Barrett had strong penalty shouts turned down in either half. The Peas came into the game as the Women’s National League’s top scorers with 77 goals – and in Ireland international Barrett had the top scorer with 30 – and took that confidence with them. The Peas were the better side for the first hour and demonstrated ambition and adventure that belied their lack of experience at this level. Barrett, Áine O’Gorman and Eleanor Ryan Doyle each called Wexford keeper Sophie Lenehan into action early doors and found her equal to their efforts. Megan Smyth-Lynch curled a shot over as the Dublin side continued to press before Wexford finally managed an effort on the half hour, but captain Kylie Murphy missed the target. Youths had the ball in the net shortly after as Edel Kennedy stabbed home a dropped cross from Peas keeper Naoisha McAloon, but it was rightly ruled out for a foul on Louise Corrigan. The champions made the breakthrough within a minute, however, as Parrock latched onto Rianna Jarrett’s finished, flicked the ball over her head and finished with some style. 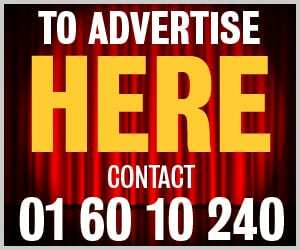 Peamount should have had a penalty on the stroke of half time as Barrett burst into the box and was tripped by defender Orlaith Conlon, but referee Vicki McEnery was unimpressed. Wexford’s experience told in the second half as they slowed down the tempo and restricted Peamount to scraps, with Chloe Moloney and O’Gorman missing the target with half-chances. The game’s biggest flashpoint came deep in injury time when Barrett fell under a clumsy challenge from Lauren Dwyer but, again, the referee shook her head and Wexford held out. “I thought we started off really well,” Peamount manager James O’Callaghan told the Dublin Gazette. “It was going according to plan and, I suppose, we needed to get a goal in the first half an hour. “Then Wexford started creeping into it a little bit and they got a great goal. Despite the disappointment, O’Callaghan feels it’s been a good season overall and the experience of competing in cup finals can only benefit his young side going forward. “It was a brilliant experience for a lot of the girls, especially the younger players, and it can only bode well going forward.